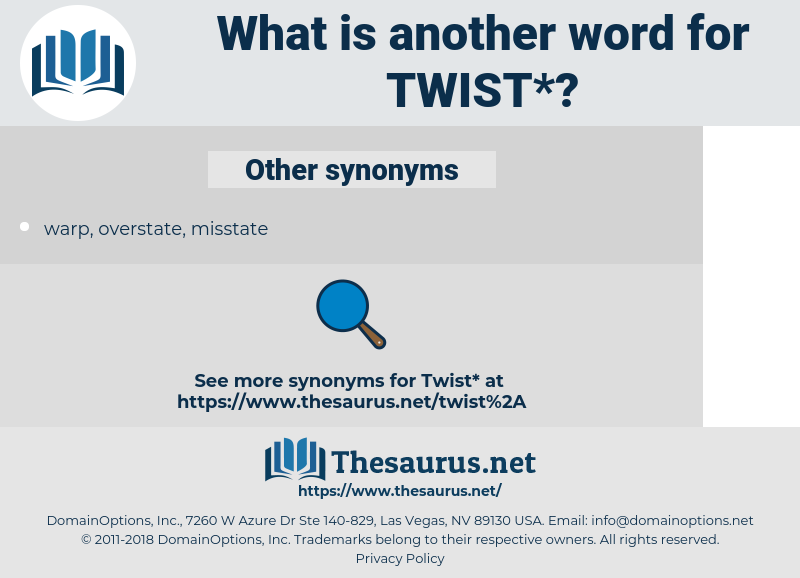 What is another word for twist? Affects, turn, rotate, pivot, turning, instalment, turnaround, torque, shift, swing. normality, usualness, order, simplicity, organization. 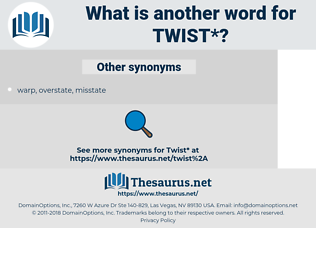 explain, untwist, explicate, uncurl, straighten. beautify, represent, continue, remain, keep. I could not twist any more, it was just which of us could get there first. For the very first pages of Oliver Twist are stern even when they are funny. crick, wave, incurvate, indent, gnarl, convolve, quirk, curl, crank, convolute, dent. turn, change form, deform, change shape.